Apollonius Of Tyana was an ancient Greek philosopher. 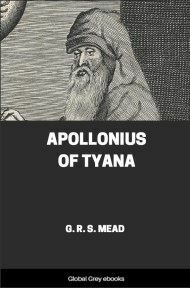 This book, published in 1901, does its best to discover who Apollonius really was. 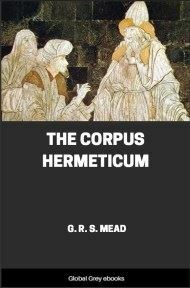 Mead delves into his early life, looking at his biographer, the texts and literature about him, his sayings and sermons, and his writings and letters. 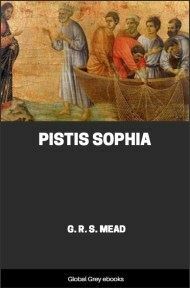 A short book, but one which gives valuable insight into one of the most famous philoshopers of ancient time. 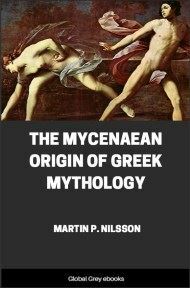 To the student of the origins of Christianity there is naturally no period of Western history of greater interest and importance than the first century of our era; and yet how little comparatively is known about it of a really definite and reliable nature. 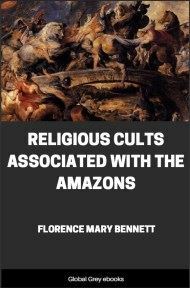 If it be a subject of lasting regret that no non-Christian writer of the first century had sufficient intuition of the future to record even a line of information concerning the birth and growth of what was to be the religion of the Western world, equally disappointing is it to find so little definite information of the general social and religious conditions of the time. The rulers and the wars of the Empire seem to have formed the chief interest of the historiographers of the succeeding century, and even in this department of political history, though the public acts of the Emperors may be fairly well known, for we can check them by records and inscriptions, when we come to their private acts and motives we find ourselves no longer on the ground of history, but for the most part in the atmosphere of prejudice, scandal, and speculation. The political acts of Emperors and their officers, however, can at best throw but a dim side-light on the general social conditions of the time, while they shed no light at all on the religious conditions, except so far as these in any particular contacted the domain of politics. As well might we seek to reconstruct a picture of the religious life of the time from Imperial acts and rescripts, as endeavour to glean any idea of the intimate religion of this country from a perusal of statute books or reports of Parliamentary debates. Difficult as this field is to till, it is exceedingly fertile in interest, and it is to be regretted that comparatively so little work has as yet been done in it; and that, as is so frequently the case, the work which has been done is, for the most part, not accessible to the English reader. What work has been done on this special subject may be seen from the bibliographical note appended to this essay, in which is given a list of books and articles treating of the religious associations among the Greeks and Romans. 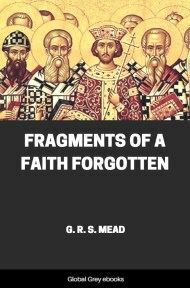 But if we seek to obtain a general view of the condition of religious affairs in the first century we find ourselves without a reliable guide; for of works dealing with this particular subject there are few, and from them we learn little that does not immediately concern, or is thought to concern, Christianity; whereas, it is just the state of the non-Christian religious world about which, in the present case, we desire to be informed. If, for instance, the reader turn to works of general history, such as Merivale's History of the Romans under the Empire (London; last ed. 1865), he will find, it is true, in chap. iv., a description of the state of religion up to the death of Nero, but he will be little wiser for perusing it. If he turn to Hermann Schiller's Geschichte der römischen Kaiserreichs unter der Regierung des Nero (Berlin; 1872), he will find much reason for discarding the vulgar opinions about the monstrous crimes imputed to Nero, as indeed he might do by reading in English G. H. Lewes’ article "Was Nero a Monster?" (Cornhill Magazine; July, 1863)—and he will also find (bk. IV. chap. iii.) 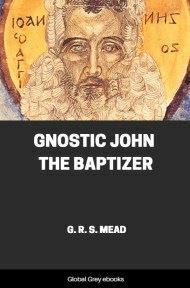 a general view of the religion and philosophy of the time which is far more intelligent than that of Merivale's; but all is still very vague and unsatisfactory, and we feel ourselves still outside the intimate life of the philosophers and religionists of the first century. If, again, he turn to the latest writers of Church history who have treated this particular question, he will find that they are occupied entirely with the contact of the Christian Church with the Roman Empire, and only incidentally give us any information of the nature of which we are in search. On this special ground C. J. Neumann, in his careful study Der römische Staat and die allgemeine Kirche bis auf Diocletian (Leipzig; 1890), is interesting; while Prof. W. M. Ramsay, in The Church in the Roman Empire before a.d. 170 (London; 1893), is extraordinary, for he endeavours to interpret Roman history by the New Testament documents, the dates of the majority of which are so hotly disputed. But, you may say, what has all this to do with Apollonius of Tyana? The answer is simple: Apollonius lived in the first century; his work lay precisely among these religious associations, colleges, and guilds. A knowledge of them and their nature would give us the natural environment of a great part of his life; and information as to their condition in the first century would perhaps help us the better to understand some of the reasons for the task which he attempted.